We are pleased to announce the room block for the 2019 East Coast Rendezvous is now open! As you know, the 2018 event was postponed due to Hurricane Florence, and has been rescheduled for April 2019. If you registered for 2018, your paid event registrations rolls over for 2019. All you need to do is re-book your hotel. If you did not register for last year, we will have registration opening for you soon, but please do book your hotel now! Click here to register now for the 2019 East Coast Rendezvous!! 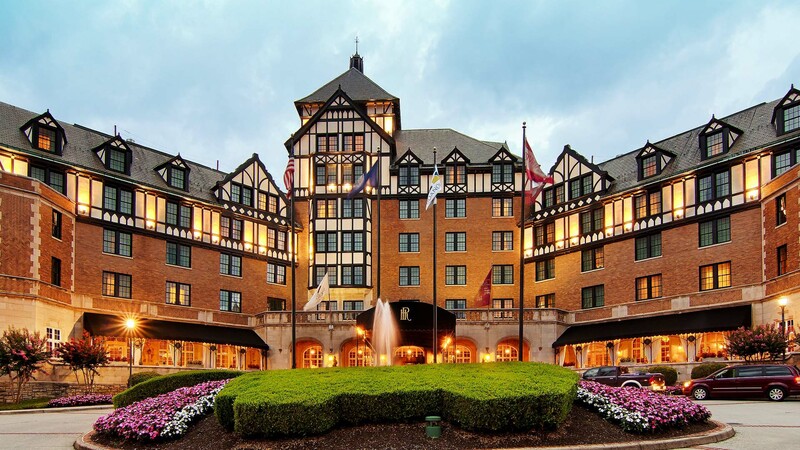 Our event will be in Roanoke, VA from April 24-28, 2019 and will be hosted at the Hotel Roanoke. This is a very nice Curio by Hilton property right in the heart of downtown Roanoke. We will be kicking off the event with drives starting the morning of the 25th, followed by a welcome party that evening (the room block for the night of the 24th allows for anyone who wants to be there for the 1st driving tour the next morning - like last year). We will also be having driving tours through the week, a car show hosted at the Transportation Museum of Roanoke just a few blocks form the hotel (date TBD), tech session hosted by Tim Berardelli and our event banquet and goody raffle to cap off the weekend on Saturday evening. A special award will be given out to honor Jeff Trask, and each attendee will receive a commemorative grill badge for the event, designed by 912 Registry member Ron Peters. Event registration (for those who didn't register last year) will be coming soon. Book your hotel today - rooms are limited and will sell out quickly for this event. or call Reservations: 1-866-594-4722 and request the 912 Rendezvous rate of 179.00/night. Event registration will be coming soon. Book your hotel today - rooms are limited and will sell out quickly for this event.